Emergency Landing in Haldimand Avoids Wind Turbines. A Second World War plane successfully dodged the wind turbines and landed safely after experiencing engine problems. The off airport landing was in a field outside of Cayuga and occurred on June 18, 2016 in Haldimand County. The pilot and passenger were reported to be uninjured. Green energy vs. the protection of endangered species. Because of the barn owls the MOE has asked for an additional adjournment of 5 months until March 31st 2015. However, Boralex has requested an” Overall benefit permit” for the Owl predicament. They can also get a permit if killing the birds will improve the economy of Ontario. In preparation for tomorrow’s teleconference, MOECC has been in communication with MNRF and proponent’s counsel regarding the ongoing process under the Endangered Species Act. The proponent will now be required to move forward on submitting an Avoidance Alternatives Form and an application for the Overall Benefit Permit. MNRF has also informed MOECC that this will be the first Barn Owl Overall Benefit permit developed in the Province and there are a number of unknowns right now that will take some work and some time to bring to conclusion – including some identification work through the Royal Ontario Museum. (b) a teleconference is arranged 4 ½ months into the adjournment to provide the Tribunal and other parties with an update (should the permit still not be issued at that point). the first sighting in 5 years. this a federally protected species so therefore the Federal Minister needs to get involved. describe the small land area and how the owls feel safe here. any construction activity will destroy not only where they are nesting but also the roadside ditches where they are finding their food. how it is in close proximity to a conservation area which gives protection. the proponents own staff and the Provincial MNRF concurred eagles would not nest here and two months later we had eagles nesting. ask that the Federal minister over see this permit development. AT RISK IN PT. RYERSE! and how you can help protect them. Bernie Solymár, EarthTramper Consulting Inc.
Meet a live Barn Owl and Bald Eagle! A small donation will help defray the cost of the room rental. 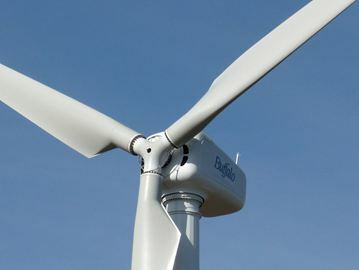 The Ministry of the Environment has granted final approval to a wind turbine project in Wainfleet. The Ministry of the Environment has granted approval to a wind turbine project in the township. IPC Energy announced the approval Monday. The project, a collaboration between Loeffen Farms and Rankin construction, will see a nine megawatt wind farm built in the township. A total of five turbines will be built. “We are pleased to advance this project into the long anticipated construction phase of development,” said John Andrews, president of IPC Energy, in a press release. IPC Energy has been awaiting the final Renewable Energy Approval for months, and now that its been granted construction is expected to begin sometime this month. The project is expected to create enough electricity to power 1,400 homes, producing 25 million kWh per year. “It has been an extremely rigorous and complex process that will ultimately positively serve all Ontarians by investing in our future energy needs using private capital in an environmentally responsible manner,” said Tom Lewis, project manager at IPC Energy. The project has been a controversial one, with staunch opposition from many residents and the township council. 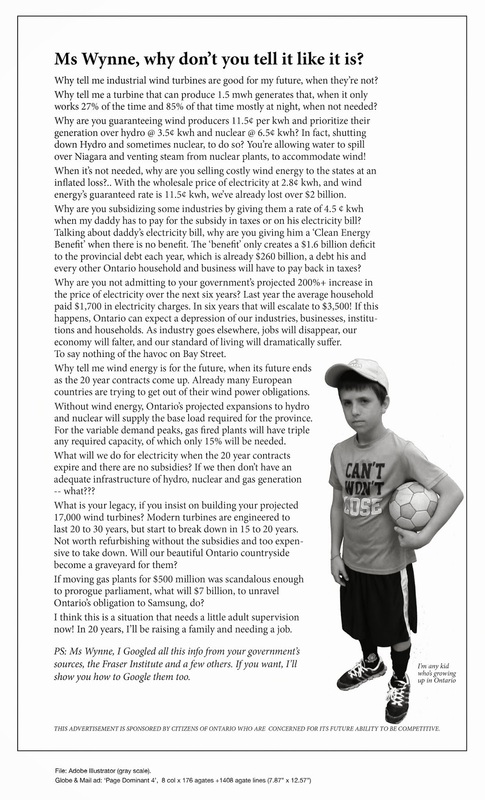 Earlier this year the township declared itself an unwilling host to turbine projects. Wainfleet wind project gets final approval. A comparison of the proposed Oulton turbine against Big Ben. A controversial wind turbine application has been withdrawn after concerns were raised by Norwich International Airport and the Ministry of Defence. The plan for the 77m-high structure on the disused second world war airfield in Oulton, near Aylsham, was submitted to Broadland District Council by Bernard Matthews Wind Energy Co-operative in February. It was withdrawn on Monday because of “outstanding information” on how the developers, not-for-profit organisation Energy4All, would have overcome concerns. The plan attracted vehement opposition from Oulton residents and surrounding villages because of its potential impact on the landscape. Concerns were also raised by the National Trust and English Heritage because of its visual impact on Blickling Hall and the surrounding conservation area. A spokesman for Energy4All said: “Energy4All is disappointed to confirm that the planning application for the single community wind turbine at Oulton has been withdrawn. It is not known when a new application will be submitted. An MoD spokesman said an objection was made because the turbine would be 18km from the Air Defence radar at Trimingham and would cause “unacceptable interference”. Norwich International airport also objected because the turbine would interfere with its radar. There were 79 letters against the plan, objections from Cawston, Blickling, Oulton and Heydon parish councils and 10 letters of support. Oulton wind turbine plan is withdrawn – Environment – Eastern Daily Press.